It is time for day 2 of Craft Lightning. 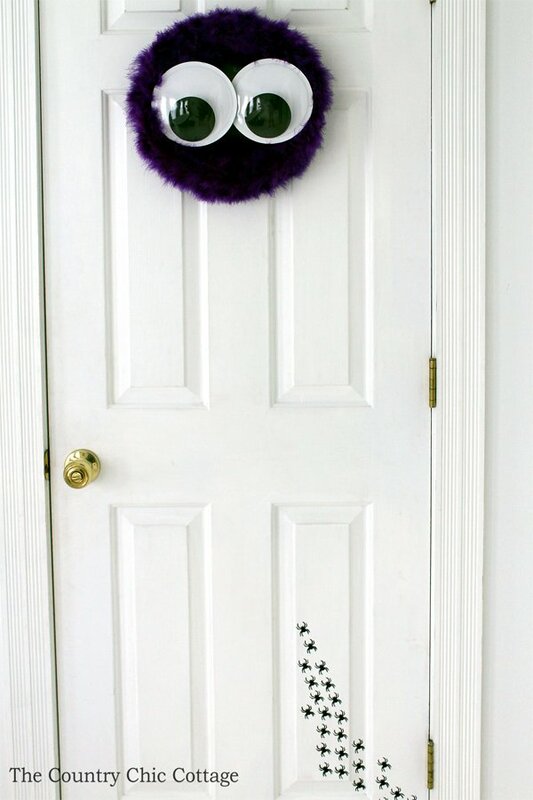 I am going to show you how to add spiders to your door for one spooky Halloween decoration. You can see more Halloween crafts that take 15 minutes or less to complete at the bottom of this post. If you missed day 1 of Craft Lightning, click here to catch up on the fun. 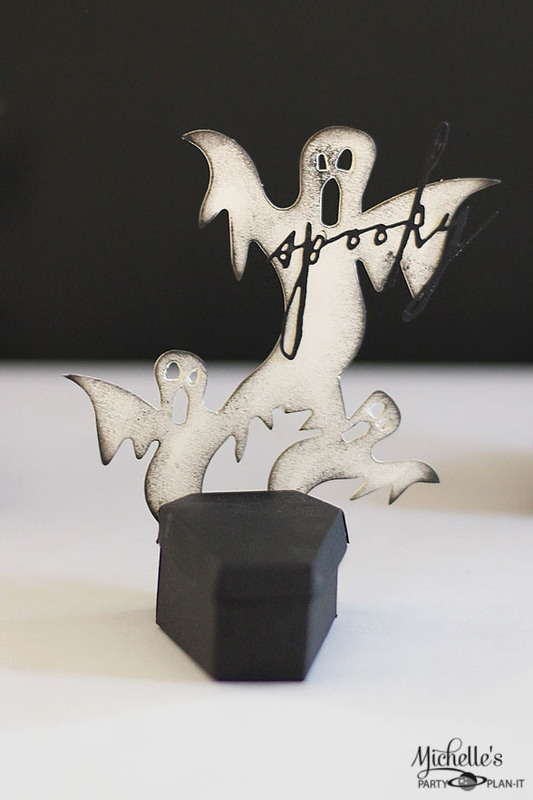 Stay tuned for an entire week worth of quick Halloween crafts by subscribing to our newsletter. Start with any image of a spider that you find online. 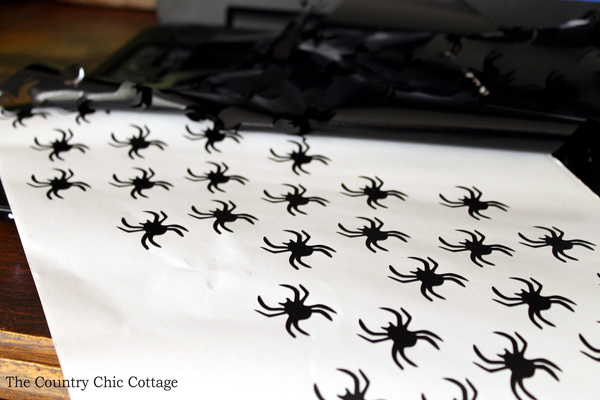 Trace it with your Silhouette program and cut multiple spiders from one sheet of vinyl. I laid mine out in a rough pattern before cutting. 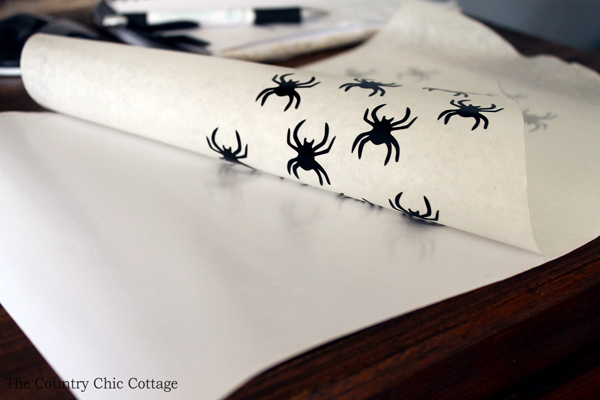 You can use transfer paper if you wish or just transfer the spiders one by one to your door. 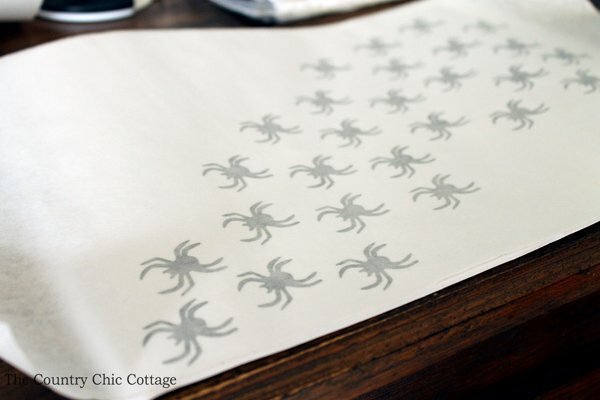 If you are using transfer paper, apply to the entire sheet and press down firmly. Peel up and the vinyl should be on the transfer paper with the sticky side out as shown. 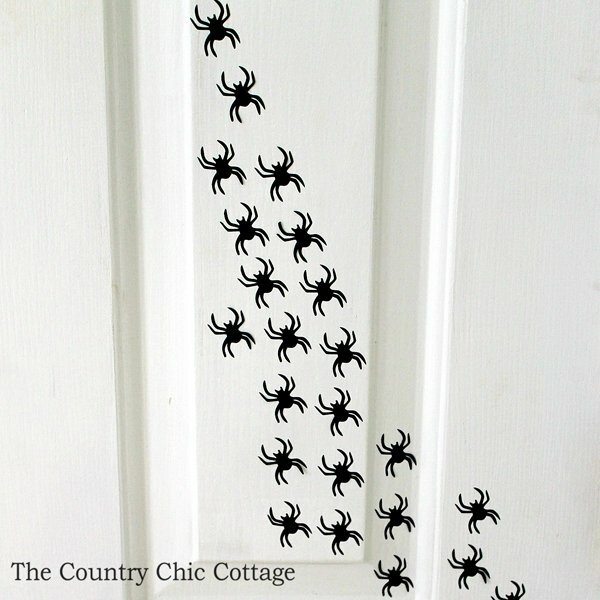 Stick those spiders to your door! You can some up with a variety of patterns to add some spook to every door in your home. 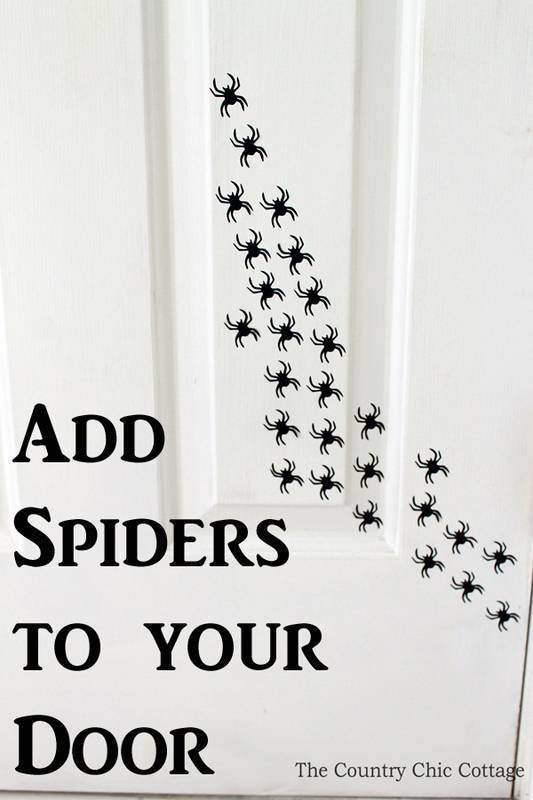 You can add spiders to your door in just a few minutes with this technique. You have to love Halloween! Now for some fun projects from our partner blogs for Craft Lightning. Try making these monster pinwheels from A Girl and a Glue Gun. 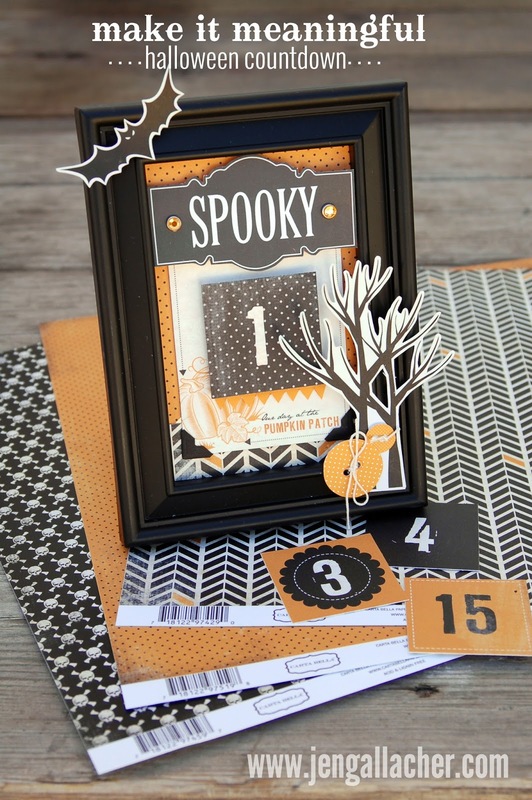 If your kids love Halloween, they will love this Halloween countdown from Jen Gallacher. 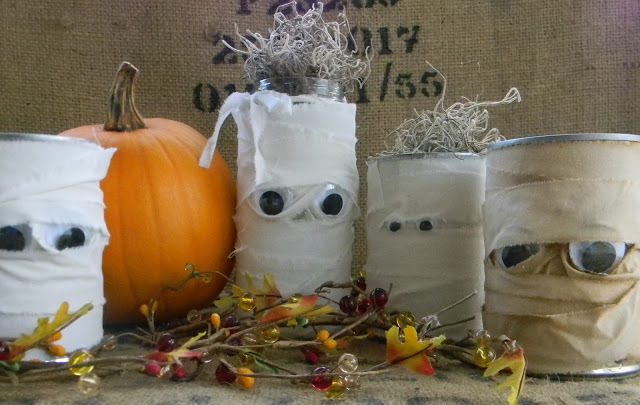 Turn recycled bottles and cans into fun Halloween decor with this tutorial from Artistic Endeavors. 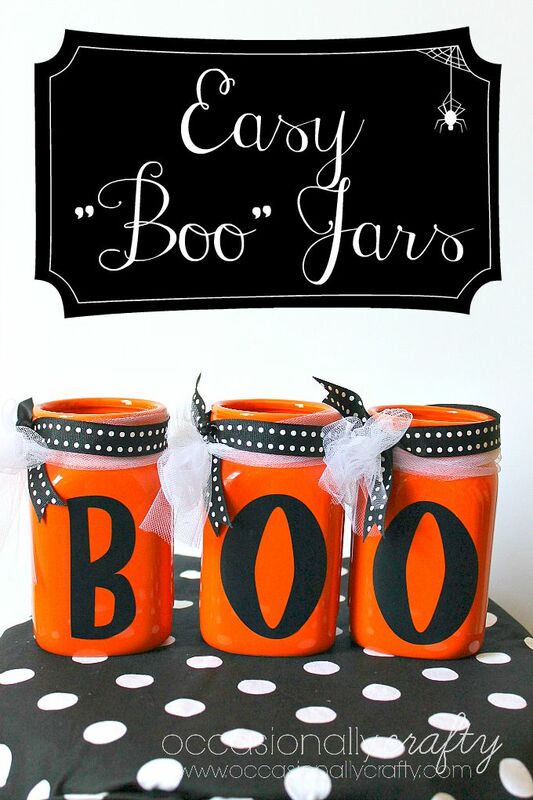 I love a good mason jar craft and these BOO jars from Occasionally Crafts are just too cute! 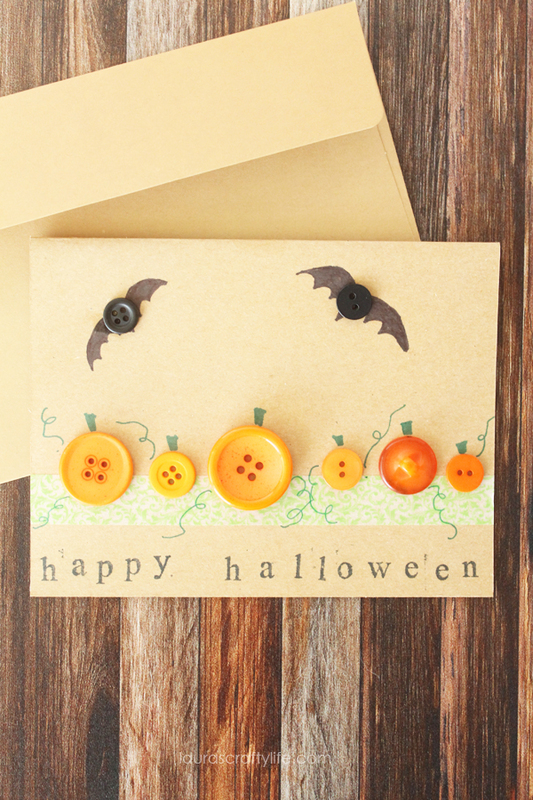 Use buttons to make a simple Halloween card like this one from Laura’s Crafty Life. Make these scary Halloween treat boxes with these instructions from Michelle’s Party Plan-it. 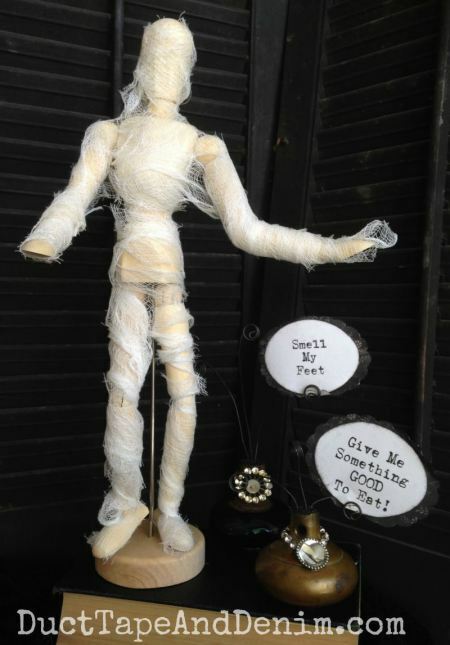 You will love this little mummy from Duct Tape and Denim. Plus he is so easy to make! 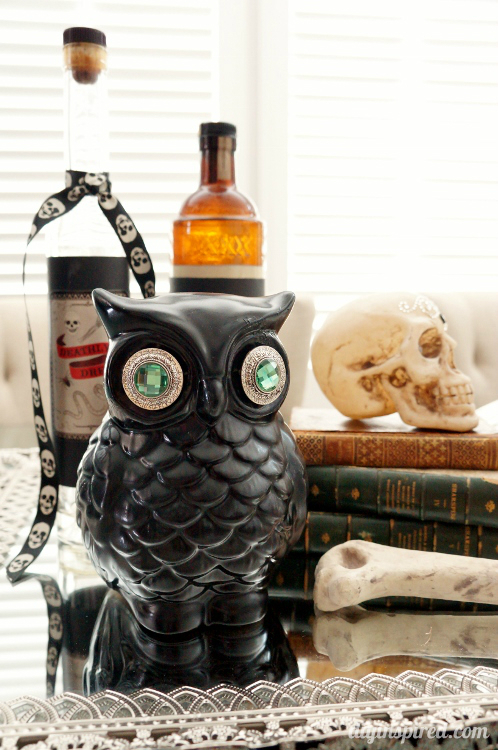 Give a thrift store owl a scary makeover like this one from DIY Inspired. My partners for this series also have something fun in store for you. 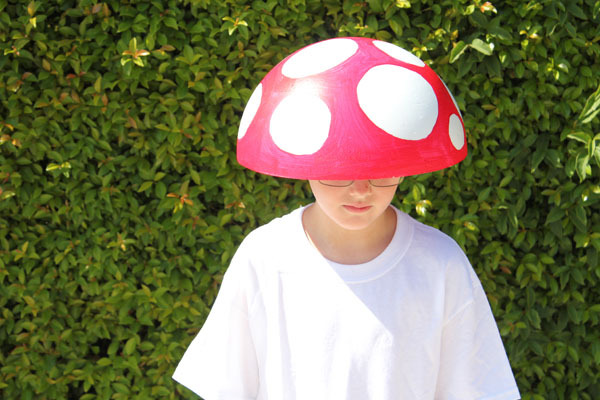 Check out this quick and easy mushroom costume from 30 Minute Crafts. 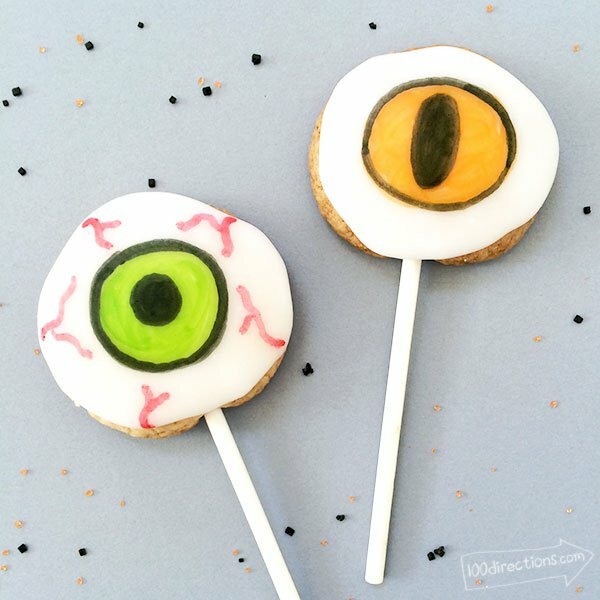 You can also grab your food color markers and make these eyeball cookie pops from 100 Directions. Y’all stay tuned as we have plenty of Craft Lightning left this week! You can also see these quick and easy crafts and so much more on our Pinterest board.